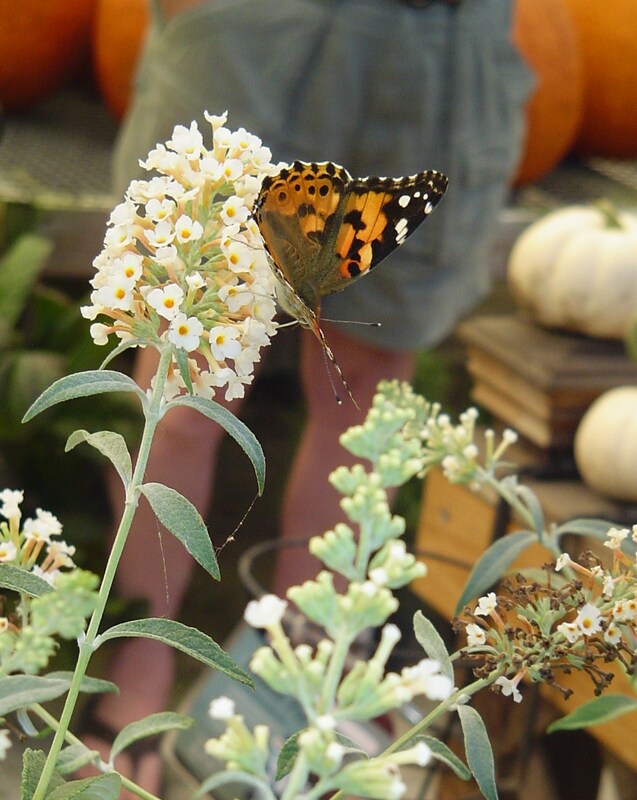 Finally, this morning, we found beautiful Monarch butterflies, sharing a display of white Buddleia davidii with Painted Ladies, at the Homestead Garden Center. Such a pleasure to finally spot one in our area, fueling up on nectar, preparing for the long migration south. 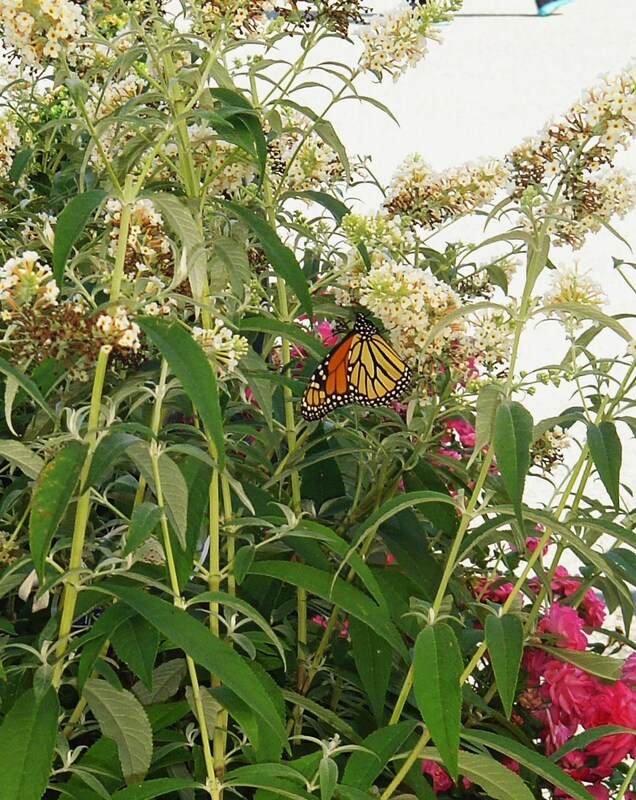 Monarch enjoying nectar before it begins its migration south. 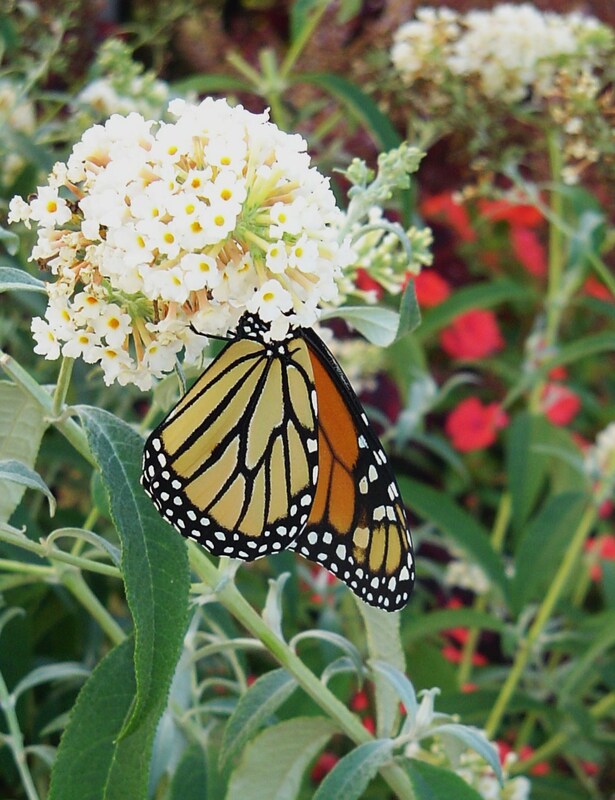 Your monarch is beautiful, I can never get that close to take pictures of them when they are in my garden! Looks like the snow and sleets in coming in on Tuesday all day and Wednesday, are you ready!? You are probably right, Annie. Is the winter storm forecast to head your way? I’m so sad to see all of the snow on trees in Wyoming and the Nebraskas. No snow, just rain for us this time. 😉 Happy you are getting rain, and your trees will survive the autumn without snow and ice. We are looking forward to rain later this weekend, too.